Spring weather hasn’t quite made it to the Rockies yet. I am holding out hope for warmer weather and indulging in some true Springtime treats. 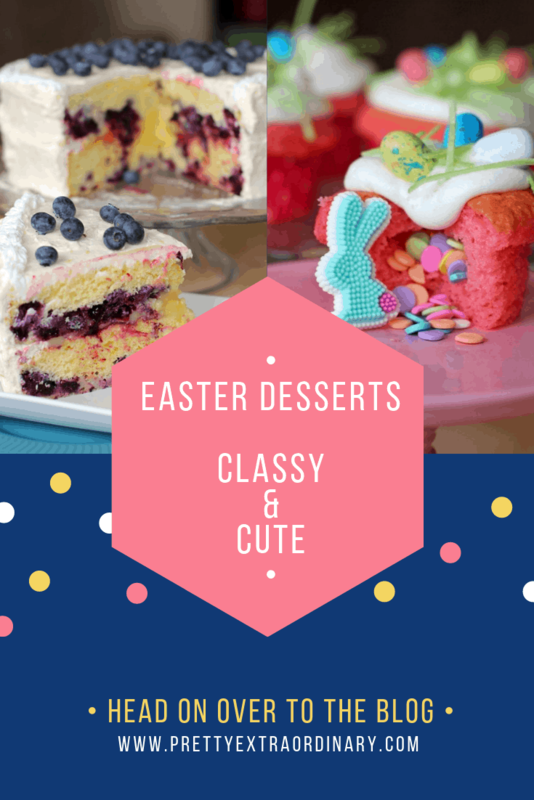 This month I wanted to share two desserts with you for your Easter party. One to get the kids excited and one to “wow” your adult guests. (Who am I kidding, my 2 year old ate her way through a very large piece of this fancy cake). Have you seen the Duncan Hines Signature Pink Velvet cake mix? I saw it and thought it would make a perfect Easter cupcake to pair with my favorite Whipped Marshmallow Frosting. The trick to using boxed cake mix is to tweak the ingredients you add to make it taste like a decadent bakery cake. It’s so easy and it can be your little secret. Preheat oven to 350 degrees and place 24 cupcake liners in cupcake tin. In a mixing bowl, beat together cake mix, eggs, milk, and melted butter. Mix until smooth. Batter with be very thick and fluffy. Fill cups with batter only 2/3 full. Do not overfill as these really puff up. Bake for 18-20 minutes until toothpick inserted comes out clean. Let cool. Make Whipped Marshmallow Frosting and put in piping bag with any large tip. Using a spoon, carefully cut a circle from the top of the cooled cupcake and scoop out a portion of the middle. Fill with sprinkles and put top of cupcake back on before frosting. 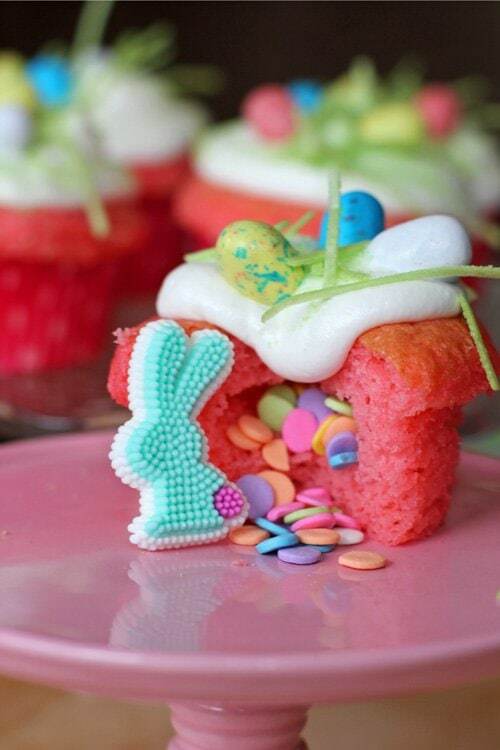 Pipe the frosting on to cupcakes and decorate with sugar sprinkles, Mini Robin Eggs, and edible Easter grass. Serve with a smile and watch your kids squeal with excitement as the sprinkles come pouring out. 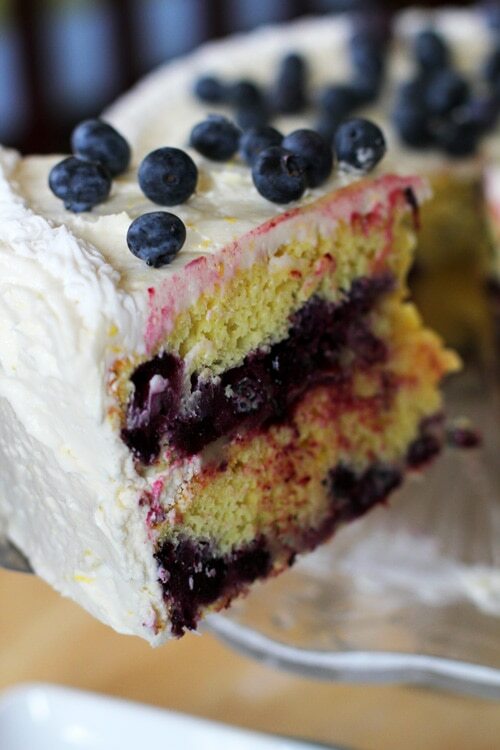 Nothing tastes like spring more than lemon and blueberries, and this Lemon Blueberry Layer Cake is over the top! It is so good. I knew I couldn’t keep this treat all to myself so I had my husband deliver pieces of cake to my friends and family (you wish you lived close to me don’t you?!) I put pudding and butter in this cake and fresh lemon zest. And don’t even get me started on the Sunshine Sweet Lemon Curd that is in between the layers……my 4 year old caught me licking the spoon! This cake will take you some time to make and assemble, but I have included pictures to help you along. Make this the day before you want to serve it, assemble it the morning of and keep in in the fridge until ready to serve. I PROMISE it is worth the work. I included these two pictures above as a little tip on how to assemble this cake without having your layers slide apart or the Sunshine Sweet Lemon Curd come out between your frosting. I like to pipe a barrier of frosting around the outside edge and fill with the lemon curd just until it comes within 1/2 inch of the frosting. Then place your second cake on top and the curd will fill to the edges and the frosting with hold it all together. Now you can frost the top and sides without a huge mess. 2 1/2 cups fresh blueberries plus more for garnish after frosting. Preheat oven to 350 degrees. Spray 2 round cake pans with non-stick spray and set aside. In a large mixing bowl, combine the cake and pudding. Add eggs and beat until smooth. Add milk, melted butter, sour cream, and lemon juice and mix until well combined. Batter will be very thick and fluffy. Divide batter evenly between the two prepared cake pans. Bake for 35-40 minutes until lightly browned on top and a knife inserte the the center comes out clean. Let cakes cool completely in the pans, them remove them and wrap in cling wrap. Place cakes in freezer until ready to assemble. Make Sunshine Sweet Lemon Curd and refrigerate 3 hours. To assemble cakes, remove from freezer and unwrap. Place one cake on a cake plate and pipe a barrier of frosting around the edge and fill with the Lemon Curd. 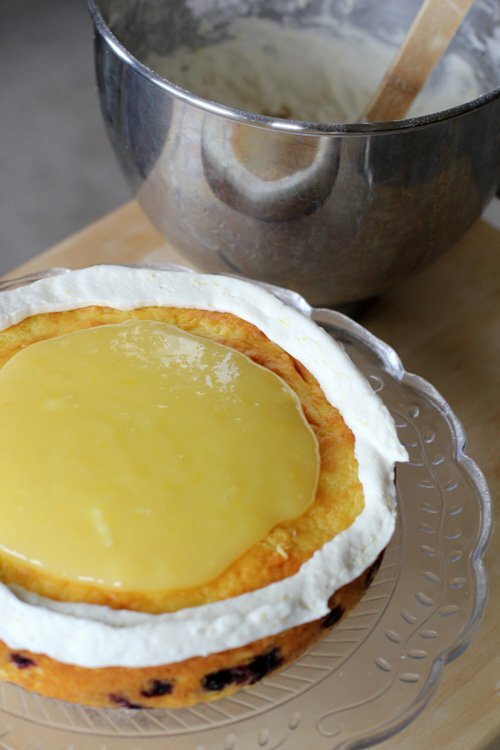 Place second cake on top of lemon curd and continue with frosting on the top and sides of the cake. 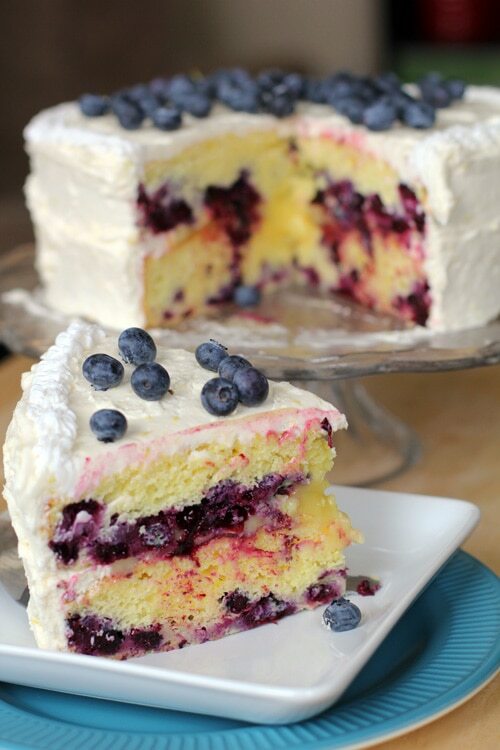 Top with fresh blueberries and keep refrigerated until ready to serve. You are dying to get baking, right? Be sure to come back and tell me what you think! For some additional Spring baking inspiration, head here to find amazing Carrot Cake Cupcakes and a Hummingbird cake that will make you drool. YUMMMM.. I love sweets a little too much but Im looking forward to trying this! !